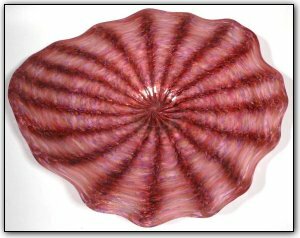 This wallbowl features deep shades of pink with some purple and gold highlights mixed in, and measures 24" x 21" with a depth of 3.5". That's a full two feet wide! This wall bowl also has real gold adventurine added for that extra gold sparkle. The more light you shine on this piece... the more it will sparkle!